Following its debut in the FIA World Rally Championship (WRC) at Rallye Monte-Carlo earlier this month, the Hyundai Shell World Rally Team announced that Chris 'Atko' Atkinson will drive the #8 Hyundai i20 WRC for Rally Mexico, round three of the championship. 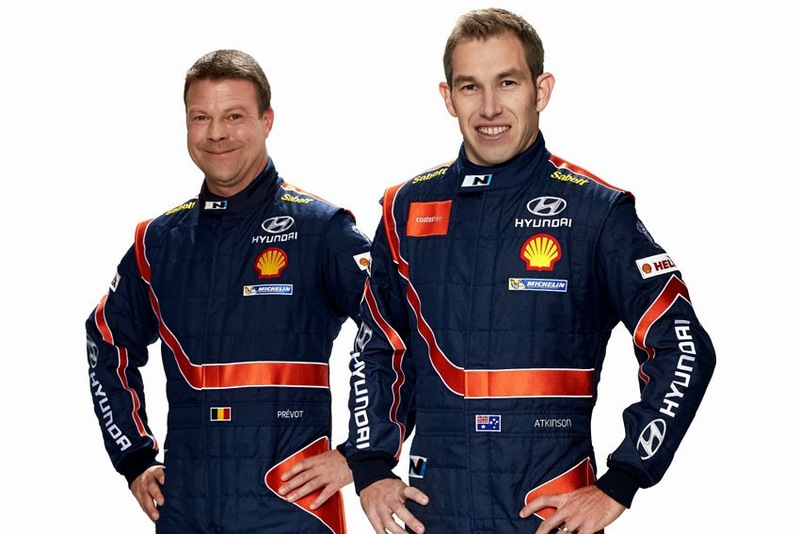 34-year-old Australian will be joined by his co-driver Stephane Prevot in the second Hyundai i20 WRC entered into Rally Mexico and will compete alongside the team's lead driver Thierry Neuville (Hyundai i20 WRC #7) in one of the toughest rounds of the WRC season. "It has been a great pleasure to have been involved in the testing of the Hyundai i20 WRC but to have the opportunity to contest Rally Mexico with the team is fantastic. I have had several good results in Mexico, including my best WRC finish of second place in 2008, so I have some great memories of this event and the Mexican fans. It will be the competitive debut of the Hyundai i20 WRC on gravel so it will be interesting to see how we can perform. I know how hard everyone has been working to prepare for this season so I hope we can repay them with a good result!" said Chris Atkinson. Team Principal of the Hyundai Shell World Rally Team, Michel Nandan added, "We are very happy to have Chris on board for Rally Mexico, an event he has contested several times during his career and one that he knows very well. After Rallye Monte-Carlo we had to start making decisions on Rally Mexico and we thought Chris would be the ideal choice for our first rally on loose surface. We were impressed with Chris' pace in Mexico last year and having feedback from a different driver will definitely help us significantly to further develop the Hyundai i20 WRC." "Chris was also a major asset during our testing year in the development of the Hyundai i20 WRC in the build-up to our participation in the FIA World Rally Championship and he certainly deserves to be part of the team this year as well," he added.